Rin has been kidnapped by demon! The famous demon exterminator-monk has gone to save her. Humans like that monk are no match! He'll be shredded to pieces by Sesshomaru! 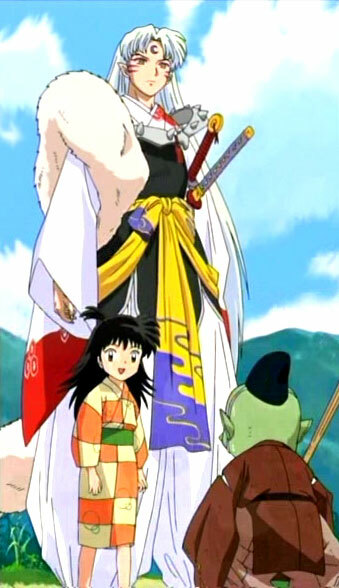 Next on Inuyasha, "Together with Lord Sesshomaru, Forever". Lord Sesshomaru... if I die, please don't forget me! In Lord Sesshomaru's empire, what will I be doing? "If Rin should ever die, would you please not forget about me?" "What a foolish thing to say." Rin: Grandpa Jaken, I'll follow you! JAK: Lord Sesshomaru can terrify even the strongest demon! JAK: Farewell! Wait, Rin, what do you mean? Why are you saying that? The village of the demon exterminators, Sango's home... There, Kirara and Kohaku met again. Are you worried about me, Kirara? Thank you, but I still can't go back to Sis yet. Kohaku, who is deliberately hiding the fact that he regained his memory, so as to deal with Naraku, and Sango, who wants to save Kohaku wholeheartedly... Only Kirara knows about both their feelings. 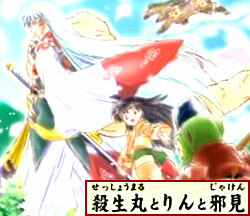 Next on Inuyasha, "Kohaku, Sango, and Kirara: The Secret Garden". Kirara, were you here with Kohaku?